Ageing telescope’s wide-field camera fails while key NASA employees are on involuntary, indefinite leave due to political impasse. 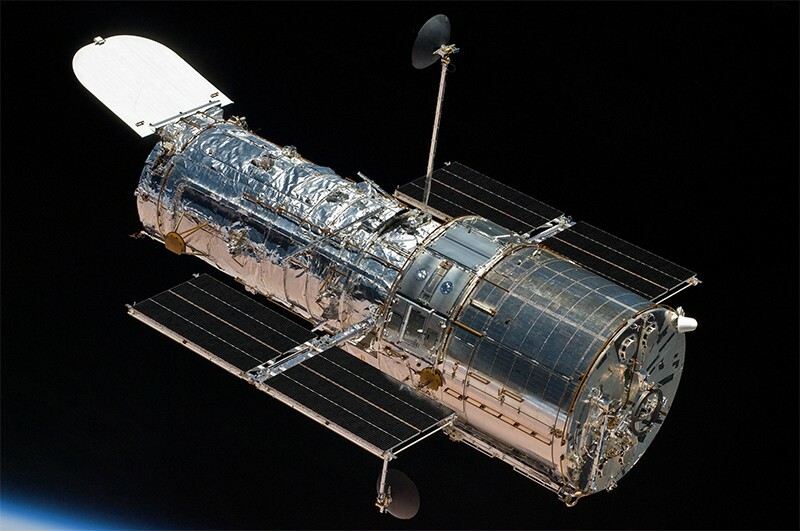 Update, 15 January: NASA says that it has fixed the issues affecting Hubble's camera. One of the Hubble Space Telescope’s main instruments stopped working on 8 January because of an unspecified hardware problem, NASA says. Engineers are unlikely to be able to fix the ageing telescope until the ongoing US government shutdown ends — whenever that might be. Federal law allows agencies to keep some personnel working during a shutdown if they are deemed necessary for protecting life and property. It is not clear whether NASA will request an emergency exception to allow repairs to Hubble before the shutdown — now on its nineteenth day — ends. In October, Hubble stopped working entirely for three weeks after the failure of one of the gyroscopes that it uses to orient itself in space. Engineers fixed the problem, but the rescue effort required input from experts from across NASA, including many who are currently furloughed. The risk of not being able to fix Hubble if something broke is one of the impacts scientists were worried about as the government shutdown began on 22 December. The shutdown, which affects roughly 75% of the government, is now in its third week with no end in sight. If it persists until 12 January, it will break the record for longest shutdown, which was set by a 21-day event that began on 16 December 1995.